The redistribution of German territory following Austria's defeats at Marengo and Hohenlinden saw the 'mediatisation' of 45 of the 51 'free and imperial' cities by their larger neighbours. 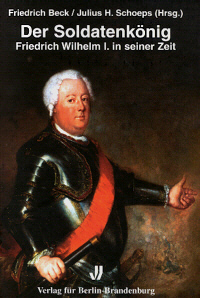 Along with the simultaneous annexation of the entire Reichskirche and most of the smaller counties, this process destroyed the hiberarchical character of the old Reich, signalling its demise that came four years later with the abdication of Emperor Francis II. 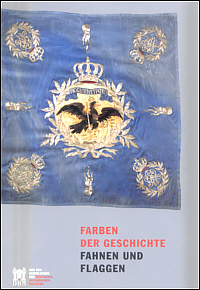 Given that 37 of the cities were located in Swabia, it is fitting that the two-hundredth anniversary of these events was commemorated there by a collaborative exhibition organised by the archive services of Biberach, Friedrichshafen (Buchhorn), Kaufbeuren, Lindau, Memmingen, Ravensburg and Ulm. 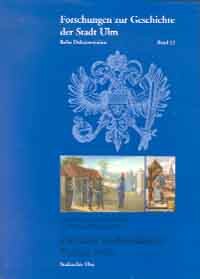 The accompanying catalogue is divided into two main sections. The opening half contains a brief introduction by Michael Wettengel, director of the Ulm Stadtarchiv, and three contextual essays. 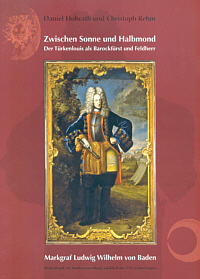 The first of these by Daniel Hohrath and Andreas Schmauder surveys the Swabian imperial cities at the end of the eighteenth century. By structuring their piece into thematic sections, covering everything from society to military organisation, the authors provide an excellent introduction to the wider literature on the cities and their place in the imperial constitution. 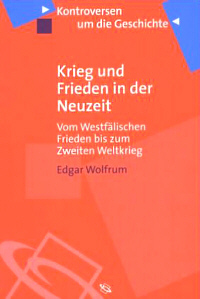 The second essay by Stefan Fischer and Daniel Hohrath chronicles the route to mediatisation from the outbreak of the French Revolutionary Wars in 1792 to its completion ten years later. They pay particular attention to the policies of Baden, Bavaria and Württemberg - the main beneficiaries of the redistribution of south German territory and the new masters of the seven cities at the heart of the exhibition. Whilst rejecting the stale clichés of a moribund imperial constitution, the authors avoid some of the more recent, over-optimistic assessments of the late eighteenth-century Reich. The overall picture is one of paralysis which, whilst not yet fatal by 1802, nonetheless cast serious doubt on the cities' continued viability as autonomous polities. 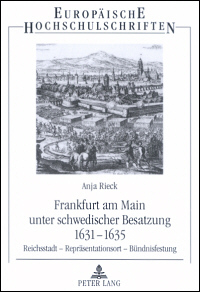 The third essay by Georg Wieland offers a substantial survey of the integration of the Upper Swabian cities into Baden, Bavaria and Württemberg. This process was far from uniform, depending not only on local circumstances, but also wider German and European politics. Only five of the 15 Upper Swabian cities kept the same master after 1802, with Lindau changing lord three times, passing first to Prince Bretzenheim, then Austria (1804) and finally Bavaria (1806). Other cities were exchanged by Bavaria and Württemberg in 1810 as part of a wider redistribution of land between the two south German kingdoms. While these aspects of power politics slowed the process of integration, they did not prevent the erosion of political autonomy and the imposition of fiscal and military demands by the new masters. Economic fortunes varied, influenced not least by continued pressure of war until 1815. However, in all cases the process of removing civic political autonomy accelerated the pace of change by dismantling the old corporate social order. The exhibition catalogue forms the second part of the book, taking up slightly more than half its length (166 pages). It follows the ten sections of the exhibition, starting with brief surveys of the seven selected cities at the end of the old Reich. The next illustrates the close association between civic autonomy and the imperial hierarchy, underlining the point that removal of one entailed destruction of the other. The following two sections cover facets of civic political autonomy and its relationship to the corporate structure of urban society. The impact of the Revolutionary Wars is shown in the fifth section which has ample material on the heavy burden of requisitioning that further undermined the often already precarious financial situation in many cities. By contrast, section six has only three items relating to minor incidents of unrest in Ulm in 1794-6, suggesting, contrary to the title 'crisis of the old order', that corporate society was still relatively stable. The real crisis is not to be found in the few examples of vocal calls for political change, but in the underlying problems of economic change and demographic growth - problems that, admittedly, are not easy to illustrate in an exhibition. The process of mediatisation is covered in the next two sections dealing with the higher political decisions and the first measures of the new governments. The final three sections examine the longer process of integration, including its impact on the inhabitants and the subsequent nostalgic, romanticised commemoration of the old traditions of civic liberty that set in after the 1830s. The most attractive feature of the book is that over half the 146 exhibits are reproduced in full colour. Many of these images rarely see the light of day and several are particularly striking. A particularly notable example is nr.47 (177) 'Schrifft richtige Grundvesten Evangelischer Wahrheit' from 1760. This Protestant version of a saint's image from Kaufbeuren depicts Frederick the Great and Gustavus Adolphus as pillars of the true faith, helping to sustain the church that is being literally bombarded by Catholics. The volume is rounded off by an extensive bibliography, making it a valuable introduction to both the subject of the imperial cities and the process of their integration within the expanded territorial states.